Patience will be rewarded with this style of Bordeaux that typifies restraint and subtlety. 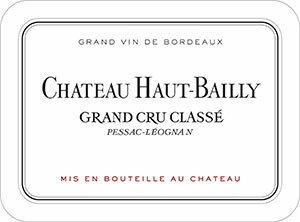 The deep ruby-colored 2000 is an impressive youthful Haut-Bailly. It offers endearing notes of black cherries, raspberries, and currants mixed with tobacco smoke, soil overtones, and subtle wood. The acidity is low, the tannin is present, and the overall quality is pure and well-balanced. This is a classic example of finesse and elegance. Anticipated maturity: 2007-2025.